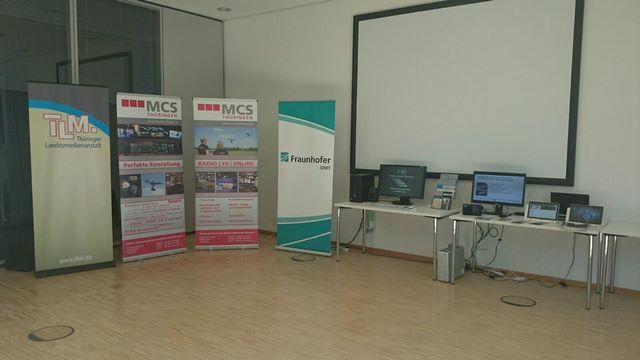 This year’s Workshop Digital Broadcasting (WSDB) in Erfurt, Germany, included a short presentation on multimedia annotation, search and recommendation – relevance, challenges and approaches based on the EU project MICO (translated from German), which took place on September 29, 2016. The presentation included a description of the core MICO motivations and technological challenges, and the respective approaches related to extractor integration and orchestration, modelling, querying and recommendation, as well as related platform aspects. The presentation NRKs ORIGO program: building a future-oriented infrastructure for radio, television and online multimedia publication by using Semantic Technology, open standards, community software and modern software development method by Robert Engels (NRK), which was about an innovative and ambitious NRK project based on Semantic Web technologies. We found that there could be interesting synergies between the two projects, ORIGO and MICO. 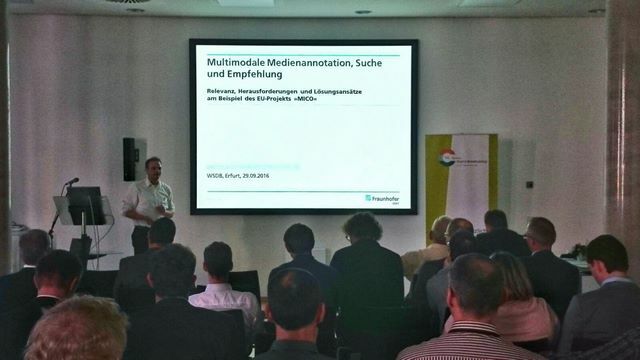 The presentation News-Stream: Big-Data-Technologies for News Journalism from David Laqua (Fraunhofer IAIS). It included a description of how textual analysis tools can be used for news analysis. The project smees to be nicely complementary to the AudioTrust+ showcase within MICO related to tampering detection, also cross-meda recommendation, and perspectively, audio and video segment matching to detect content reuse. At the demo, there were some interesting discussions with visitors who provided ideas on how the MICO platform could evolve from here, with respect to scalability and security aspects. MICO (Media in Context) is a research project partially funded by the European Commission 7th Framework Programme (grant agreement no: 610480).